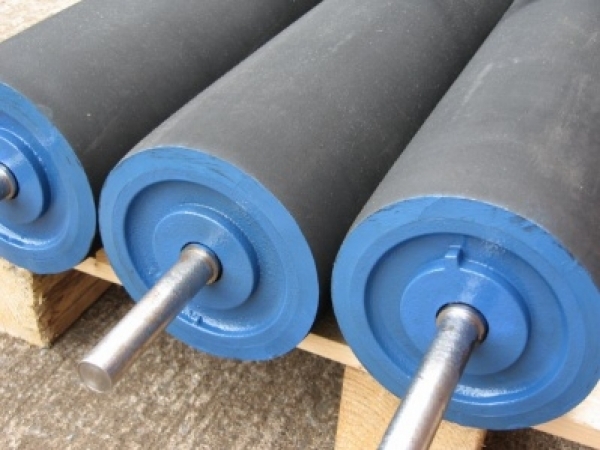 Abbey Rubber Covered Return Rollers are used on the return belt and are manufactured from mild steel in 101.6mm, 127mm, 159mm and 168mm diameter, with shaft diameter of 22mm-45mm as required. These are an alternative to our rubber disc return rollers as described above. 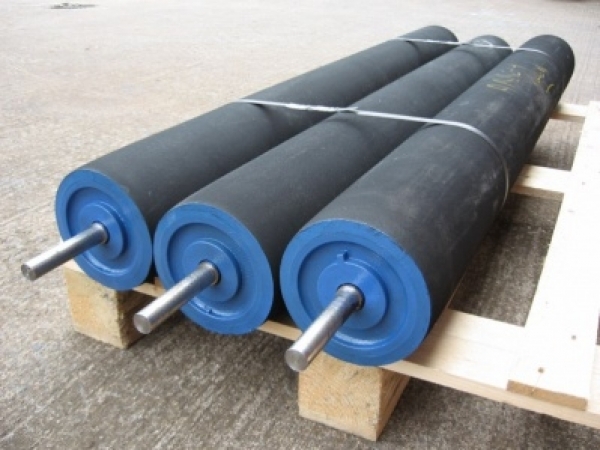 The use of this type of roller helps to prevent the build up of material on the rollers due to the rubber flexibility encouraging unwanted spillage to fall away. The rubber is fitted as one piece and rubber thickness depends on customer requirements. All our rubber covered return rollers are made to the abbey design and construction using heavy duty machined cast iron end covers, machined shafts, double rubber sealed for life 2RSC3 bearings and double lip rubber seals. Our rubber covered return rollers are mounted at each end by our keyhole bracket which is bolted to the conveyor frame.